The Coral Coast Food Trail takes in the greater Cairns region from Babinda in the South through the tourist mecca of the City of Cairns and north to the Spa Capital of palm fringe beach, Palm Cove. This is destination restaurant for local and international visitors to Cairns. At Ochre you can be assured that the produce is local. With very well respected chef Craig Squire in the kitchen, cooking local and indigenous produce with patriotic Australian flavours, the menu is intelligent and beautifully flavoured. A thoughtful wine list offers diners a guide to eating in harmony with the chosen bottle. Ochre Restaurant has won many Australian and International awards including “Best Tourism Restaurant” for the third year running and a ‘Hall of Fame’ award. Also producer by the multi award winning Ochre Restaurant is the Tropic Spirit range consists of fabulous products such as Capsicum Jam, Pineapple and Chilli Jam, Dukka, Spice Mix and many more. For more information or to order go to the Ochre Restaurant website. A tradition in Cairns, with lots of character, charm and ambiance. A unique showcase of what’s in season in locally grown exotic tropical fruits, unusual tropical vegetables and local food produce. Locally made Asian style curry pastes, chilli sauces and condiments plus other regional produce as well as a comprehensive range of local and imported Asian groceries. 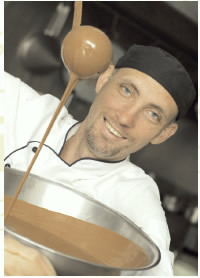 These quality handmade chocolates are made in Cairns using the finest Belgium chocolate, mixed with local products i.e. mango, wattleseed, macadamias etc. 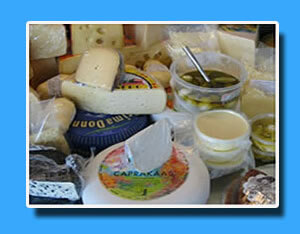 Hasham’s Dips is a family owned and operated company that was established in 1998. 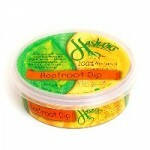 Hasham’s dips were originally started at Rusty Markets in Cairns with about ten dips and pesto products. They now make around twenty gourmet dips, Tapanades, pesto’s and marinated vegetables using traditional recipes with fresh local produce. All dips are made with the most natural ingredients; made fresh, contain no artificial colours or preservatives. 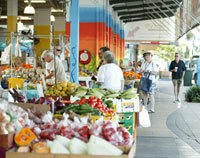 Neil’s Organics is an Organic & Biodynamic Farmers Market. 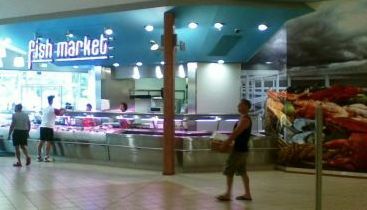 Largest range in Cairns. Dreamtime Wines blend fruits with grapes to produce a Nouveau style wine which can be enjoyed in its youth, or can be cellared to extract further complexity with age. Dreamtime Wines are available in Dry, Sweet, and Port styles and include flavours such as Mango, Lychee, Passionfruit, Chilli Lime , and Kiwi Fruit. With limited runs of Black Walnut Wine, Citrus, Black Sapote, and Ginger Wines. Starting from the apex of five way crossroad with quality fruit and vegetables on the run, Andy and Loren move across the road to expand and open a wonderful cafe with indoor commune as well as street side seating. They filled the shop with so many lovely gourmet products that they have now moved the fruit and vegetables back to the original position. 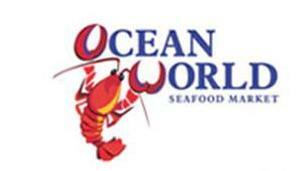 Still the best place to find quality local products all in one place. Quality Hereford beef from Marsh’s own farm on the Tablelands. Succulent pork from Morganbury’s and popular supplier of organic beef, chicken, growth hormone free meat, gluten free sausages. Good delis are hard to find in Cairns, but hidden away in Stratford is a charming oasis that is the perfect place to chill out and dine on fresh food and sip delicious coffee. The staff at Stratford Deli and Cafe are helpful and very friendly. Suppliers of local produce. 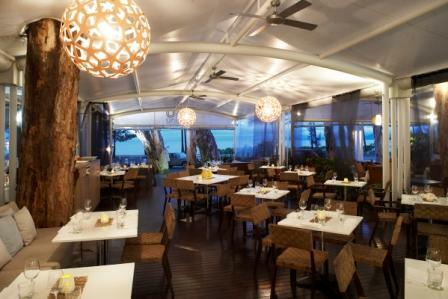 Nu Nu Restaurant is situated in front of the Beach Club, at the northern end of Palm Coves’ serene shoreline, with stunning views over the Coral Sea. 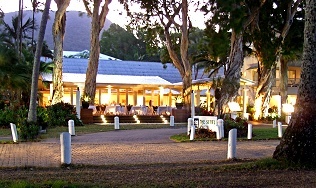 Winning many awards including the 2008 Gourmet Traveller Regional Restaurant of the Year Award, Nick and Jason offer a fabulous tropical dining experience. The menus at Nu Nu offer an eclectic mix of Australian food inspired by world travels and the multicultural Australian Community. Nick’s commitment to using local, and where possible, organic produce, ensures the freshest, healthiest and most delicious food available. Nu Nu prides itself on using local seafood and produce of the region in the most exciting ways. Overlooking a palm-lined esplanade the award-winning restaurant enjoys unsurpassed ocean views and gentle sea breezes. The cuisine created by Executive Chef Philip Mitchell stands out as a highlight in true boutique style. Philip sources produce from local waters and the Atherton Tablelands, making regular trips to nearby markets to hand-pick the freshest ingredients. Focusing on this prime local produce, the menu has an eclectic feel with Mediterranean, Asian and traditional influences blended to create a truly unique modern Australian cuisine. Careful preparation of the individual ingredients and simple execution in their combination is the key to Philip Mitchell’s creations, reflecting the very best the region has to offer.